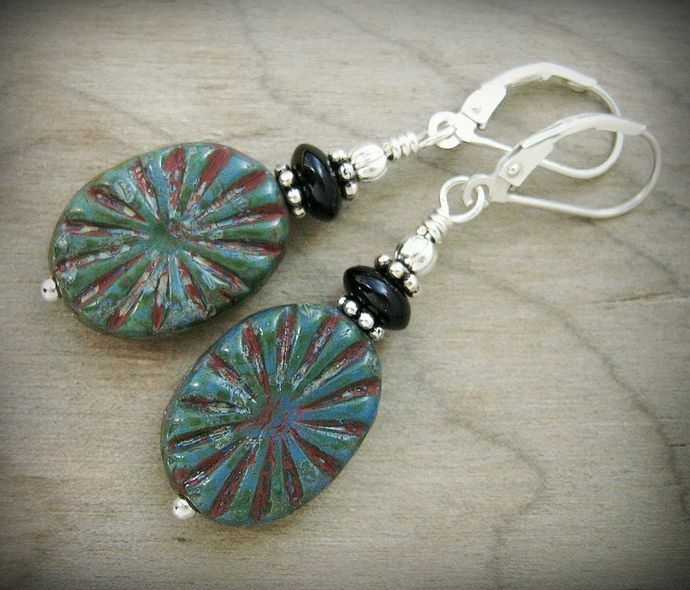 These western style earrings are crafted from blue-green art glass ovals, carved in a beautiful sunburst design, with a terracotta patina. 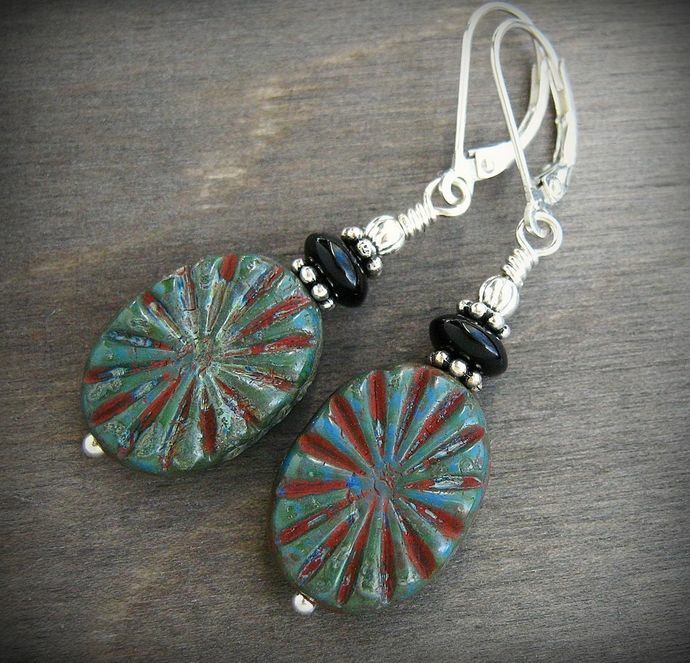 They are paired with dainty black onyx rondelles, and a few bali style silver spacers for a lovely contemporary southwest look. More earwire styles are available. 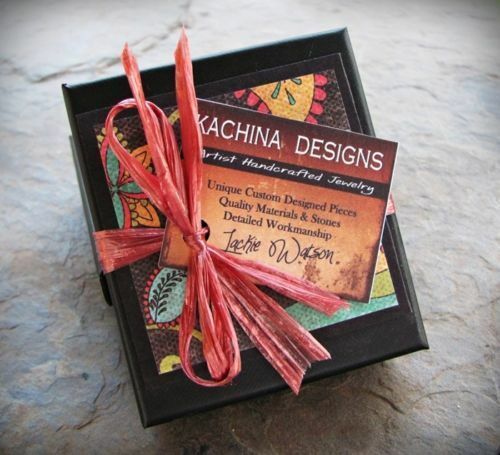 These would make a special gift for the southwest jewelry lover in your life! ● Sizing / Length - Approx. 1¾" inches long from top of earwire.